Mayall, Jeremy Mark and Macpherson, Kent and Levy, Yotam and Bradley, Paul (2016) "dawn 1". 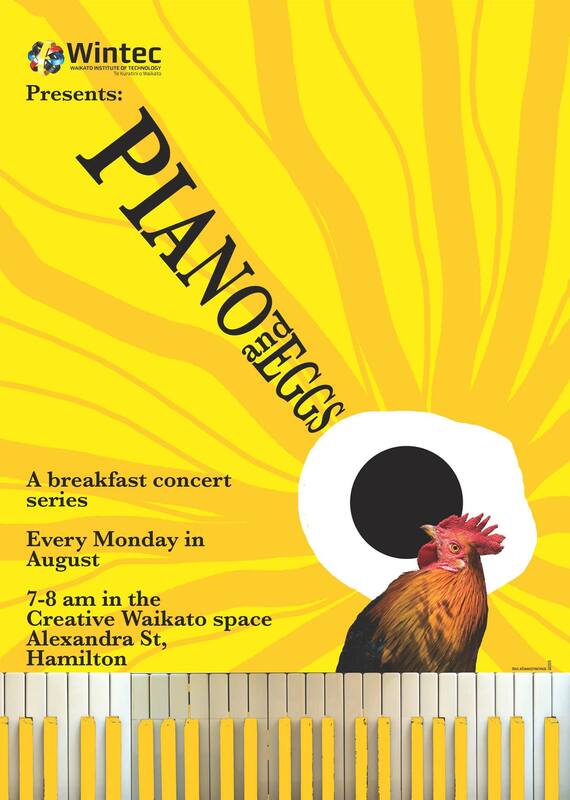 Piano and Eggs, Creative Waikato, New Zealand, August 2016. 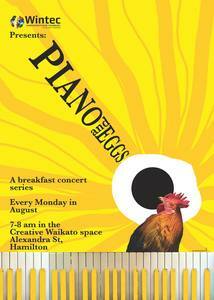 A live multimedia performance/structured improvisation. 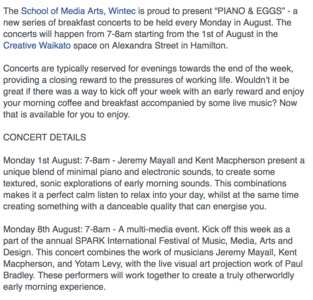 Exploring ideas of improvisation as temporal composition in a real-time environment. 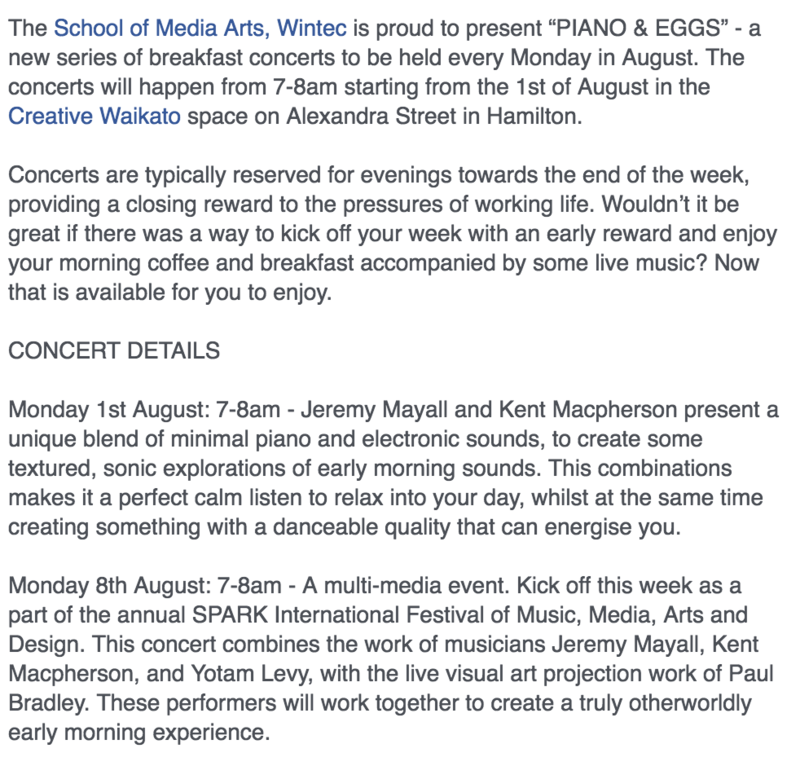 Hamilton-based multimedia ensemble DR. MESMER’S PRIVATE ARMY (Jeremy Mayall, Kent Macpherson, Yotam Levy, and Paul Bradley) will be bring their intricate tapestries of sound and visuals to Creative Waikato for a one night only performance. Their collective approach to performance really exists in the colour of sound, the magic of the moment where, inspired by space and time, fleeting ideas can create new compositions based around musical fragments and field recordings.